What Should Be In A Personnel File? Over the years, I have spoken to hundreds of small business owners. I have been surprised how many of them do not have adequate personnel files for their employees. Some have an application, many do not even have that! 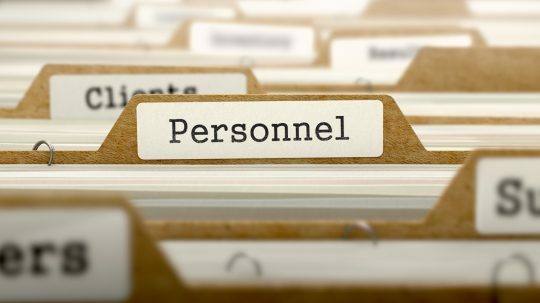 Why Have A Personnel File? This file is a track record of important paperwork for your employees. These records can be subpoenaed in case of a wrongful termination lawsuit. I recently had an insured who fired Susan for poor job performance. The owner had given Susan three performance reviews in the last year, all of which were poor. He fired her and gave her two weeks severance pay. Suddenly he received a letter from Susan’s attorney stating that Susan was fired because of age discrimination. When the business owner went to the personnel file, he found he neglected to put the negative reviews in her file. This became a “he said, she said” situation. Clear records would have helped defend the owner’s actions. We have seen a rise in worker compensation claims. Many could be avoided or reduced if proper records had been maintained. What Should Go In The Personnel File? Experts suggest the following items should NOT be kept in the personnel file: Medical information and payroll records. They are referring to your entire payroll information, for all employees, should be kept elsewhere. In addition, these personnel files should only include FACTS. Not your thoughts. Paper trails are important, but they must be substantiated. Hold a meeting with your employees and explain how important it is to update their files. Give each employee a list of what you need – emergency contact information, etc. Follow up with your employees if they do not give the missing information to you. With new employees, set up the file as indicated above. It will become easier as you go on but this is an invaluable tool for your business. And of course, store these records in a secure location.